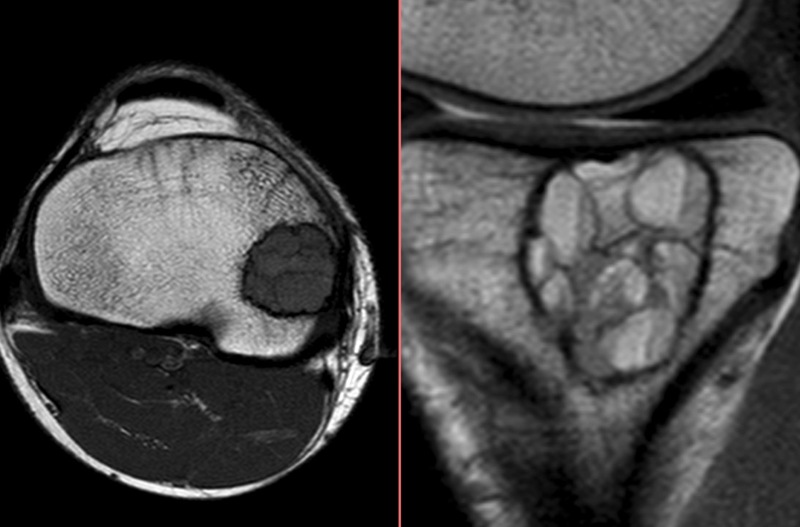 Medial tibial plateau GCT. 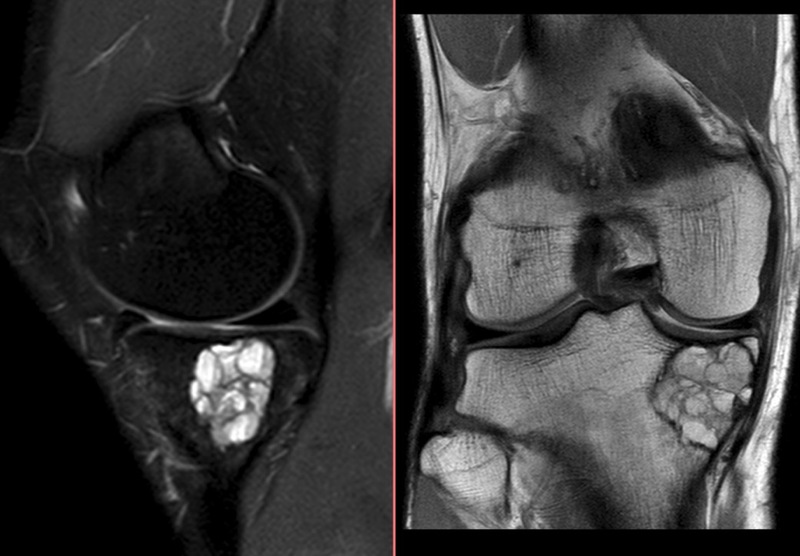 Loculated, intermediate T1, high T2 lesion with fluid level and thin sclerotic rim. Figure C = 3 year followup after curretage.